Overcoding and undercoding are two coding mistakes that can have damaging results on the medical office. Medical coding is not just about receiving reimbursements for services provided. Coding claims accurately lets the insurance payer know the illness or injury of the patient and the method of treatment. To document or report the quality of patient care. To provide accurate communication by using a national classification system that is understood across payers and providers. To report data that is used for a variety of research studies such as diseases, drugs, procedures or trends in health care. The overcoding of CPT and HCPCS codes is a method of coding with the intention of reporting codes in a manner that result in a higher payment. Overcoding is fraud. Overcoding leads to insurance companies making much higher reimbursements than what the actual reimbursement should be. However, the penalties of getting caught far outweigh the advantages of getting a higher paycheck. There are two typical ways that providers overcode, they are upcoding and unbundling. Upcoding: Misrepresenting a level of service or procedure performed in order to charge more or receive a higher reimbursement rate is considered upcoding. Upcoding also occurs when a service performed is not covered by Medicare, but the provider bills a covered service in its place. Unbundling: Some services are considered all-inclusive. Unbundling is billing for procedures separately that are normally billed as a single charge. For example, a provider bills for two unilateral screening mammograms, instead of billing for one bilateral screening mammogram. Remember that overcoding is fraudulent, and the results can lead to legal and financial penalties. It needs to be guarded against doing in error, through review and ongoing education. The undercoding of CPT and HCPCS codes is when the codes billed do not represent the full scope of the work performed by the physician or facility. Undercoding can result in the loss of revenue. Some providers purposely undercode to prevent themselves from being under the scrutiny of insurance companies that may deny or audit claims. This thinking can actually create more problems for one reason: it is not true. Insurance companies do not deny because codes reimburse higher than other codes. Insurance companies are looking for codes to match the documentation on the patient’s record. The way to avoid denials is to ensure proper documentation. Documentation not only includes symptoms, diagnosis, care, treatment, and medication but also problems and risks to health and safety information. The patient record must be detailed and complete. To prevent both overcoding and undercoding, a medical office must stay up-to-date on annual coding changes. You must be sure to follow standard coding guidelines and ensure your staff receives continuing education. 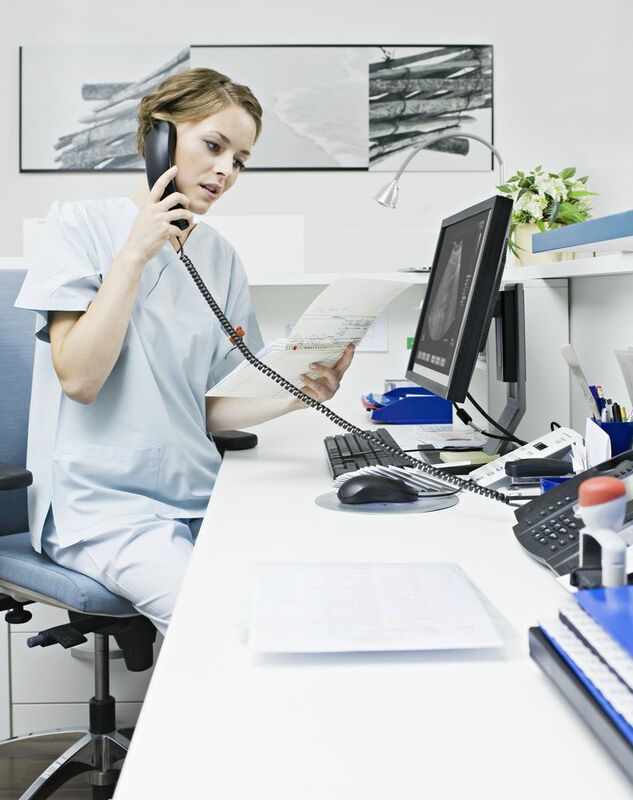 Keeping detailed patient records is the job of the providers as well as the support staff.